The Arizona Cardinals have been a hot mess in 2018, going 3-11 thus far in a season that was supposed to be a lot more productive with a new and young quarterback prospect in Josh Rosen. Clearly, things went south quickly. And when things crash and burn, organizations tend to play the blame game. That's why rookie head coach Steve Wilks is on the hot seat and doesn't look like he'll be returning next season. 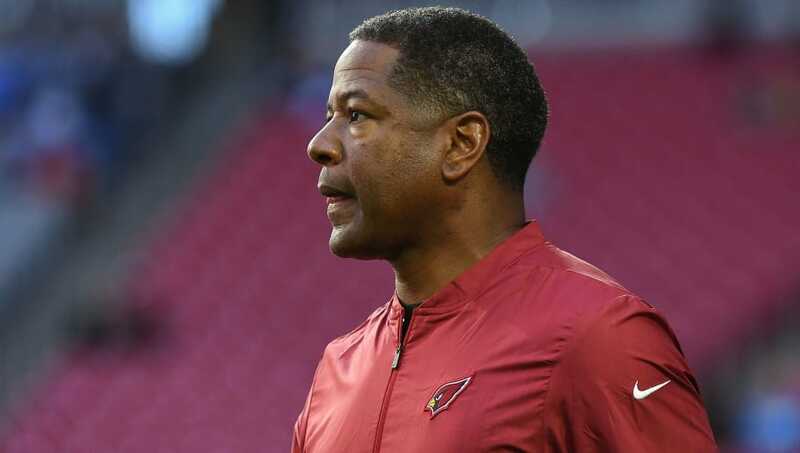 NFL: 'Foregone conclusion' Steve Wilks 1 & done? https://t.co/A6aswNLsWv? Wilks is in his first season as a head coach in the NFL, and the results have been disastrous. First of all, Wilks' offense is ranked dead last despite having two of the best players in the league at two skill positions in David Johnson and Larry Fitzgerald. The Cards also couldn't manage to develop the rookie in Rosen at all this season in his troublesome initial campaign in the league. The defensive side of things didn't get much better. Arizona was one of the worst groups in the league in terms of points allowed (25th) and allowed the 17th most yards. And that's on a roster with the likes of Patrick Peterson and Chandler Jones on it. Not sure Steve Wilks is going to get a second year with the Cardinals. Arizona seriously considering cleaning house, GM and coach. Arizona is also reportedly making a decision on GM Steve Keim, who hasn't done much to help the team in any form besides the draft. Obviously, there hasn't been much going for Arizona this season, and the organization is looking to change that for 2019. They've got the talent. They just need the structure. Some big moves are on the way in Arizona.